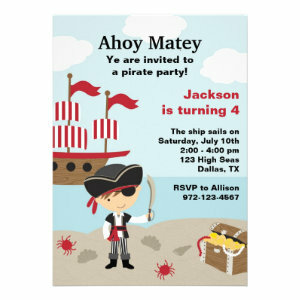 Check out these fun & easy to personalize pirate themed invitations for boys and girls at any age! How to plan a party fit only for a pirate! Kids love birthday parties, but what really gets a party off to a swing is a theme. Kids love to dress up and playact so what better idea for a party than a pirate ship theme. Decorate your home or garden as a pirate ship and send out pirate kids birthday party invitation to all the budding pirates around. A pirate theme for a party is so easy to pull off, there being tonnes of pirate party inspiration to get the ideas flowing. Choose games such as walk the plank, hunt the hidden treasure and even reenact a naval battle in your own back yard. Kids birthday parties need to be full of activities for the youngsters, letting them enjoy every moment of their special day. Food can also prepared to fit your theme; a finishing touch being a pirate cake to cut with a sword! Your pirate kids birthday party invitations will set the theme for your day perfectly and your guests will work up a real appetite, ready for a feast fit only for a pirate. These pirate kids birthday party invitations are filled with lots of colourful pirate fun. Filled with colourful designs featuring pirate ships, treasure chests, skull & crossbones flags, and a few pieces of eight. 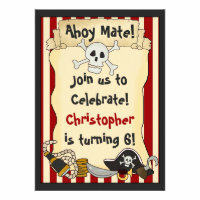 Perfect for kids of all ages these invites can be used for lots of party ideas, like a fancy dress pirate party, a beach party, a swimming party or a pirate themed birthday, or even a pirates of the Caribbean themed party. 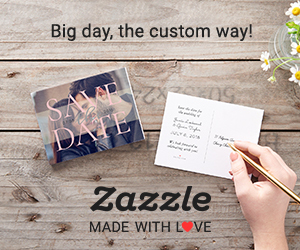 All of the invitations can be personalized to your liking. You can easily change the text, font, colour, style and layout. You can also change the paper style and finish for the perfect look. Some popular ideas for a pirate themed party would be a fancy dress competition, pirate face painting, pirate games, like pin the flag on the pirate ship, and the walk the plank pirate game. 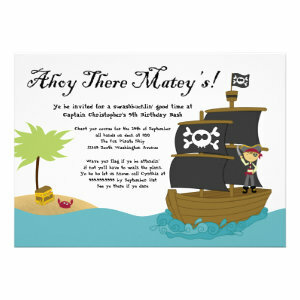 Our pirate kids birthday party invites are the perfect way to get your birthday party off to a fun start.